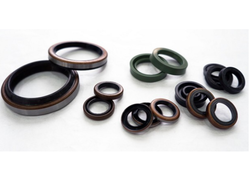 Keeping in mind diverse requirements of the clients, we are presenting a quality assured assortment of Standard Seals. In order to maintain excellent quality standards, we are presenting a quality approved array of Rotary Seals. The Rotary Seals we offer is widely demanded amongst the clients for its durability and reliability. Offered products are tested for their quality before being introduced in the market.